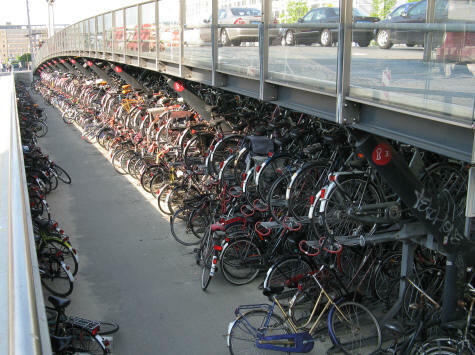 The bicycle is the preferred mode of transportation for a very large portion of the Amsterdam population. Because Amsterdam is flat and designed to be bike-friendly, the bicycle is an ideal form or transportation. Tourists to Amsterdam Holland can rent traditional Dutch bikes at many bike rental companies around the city. Bike rentals cost approximately €8 - €10 per day. Bikes can also be rented by the hour.